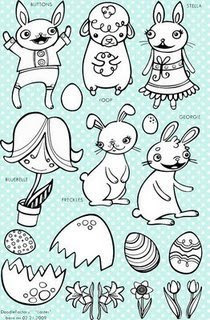 To enter to win the DoodleFactor Easter plate shown below - head over to the Starving Artistamps Blog to enter. 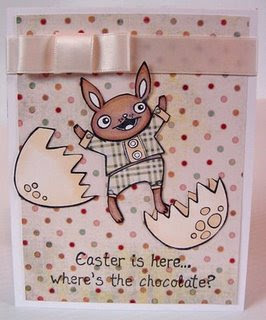 Note comments left on my blog will not be entered into the drawing - you need to enter at the Starving Artistamps Blog. Don't want to wait for the contest to end to order? No problem, you can order anytime and if you are lucky enough to win you can choose another set of equal value! Don't forget you can save 10% on all StarvingArtistamps and DoodleFactory STAMPS when you use code savetenls when you order from Starving Artistamps.